Hi everyone! 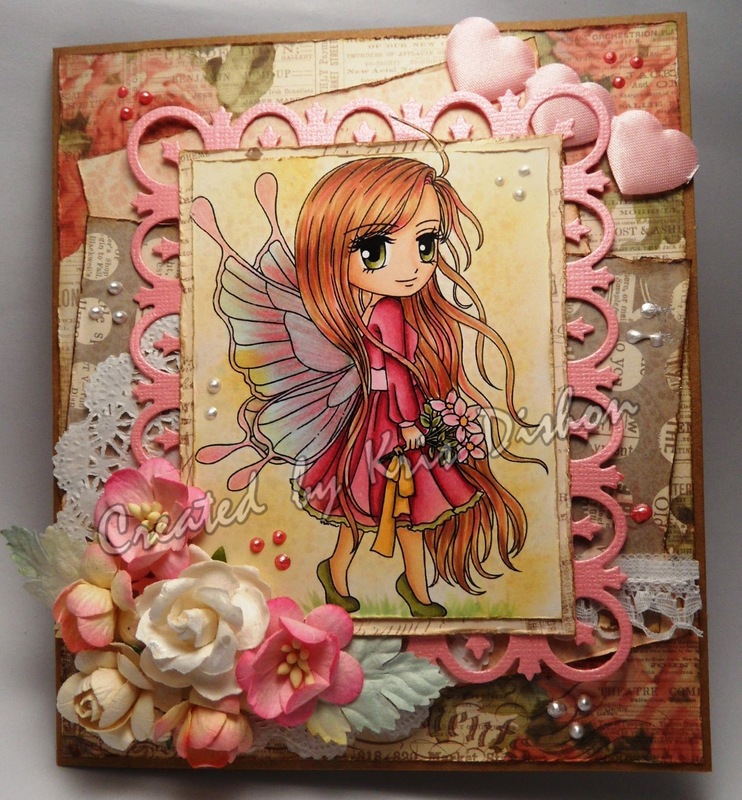 Time for a new challenge over at the Art By Mi Ran Challenge Blog. A new challenge is posted every two weeks - Anything Goes is the theme. All projects must be new and hand coloured. If you use an Art by Mi Ran image and are selected as a winner or Top 3, you can win one extra image. You will also have a chance to be invited as a Guest Designer in the challenge a month later! For my card I used one of Mi Ran's recent images - Flutterby. She is coloured with Copics of course. Her wings are actually quite shimmery but of course it is hard to photograph the shimmer! ALL entries must be hand colored , sorry no digital projects. All projects must be new! No back linking to an older post. Please post a direct link to the card / project on your blog using the inlinkz tool. Link back to our blog from your post or gallery. You can combine our challenge with as many other challenges as you wish. You can only enter artbymiran Challenge a MAXIMUM of 3 times per Challenge.